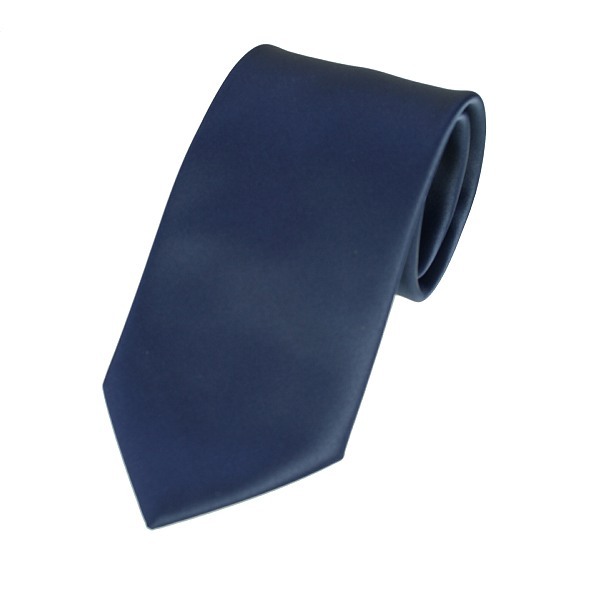 A plain navy blue satin tie with a matt finish, made from good quality material. Fully lined. A smart, dark navy blue pre-tied adjustable dickie bow. A plain navy blue slim width silk knitted tie for those who prefer a narrow width necktie. Made in the UK using the finest silks.